[Rick Smith]: Yeah, I’ve got to be honest with you. I look at this…just an absolute scam. An absolute rip-off of this Delaware loophole bill that is actually going to make the situation that much worse. The idea that we are going to slightly close the magic box in Delaware and then open up a massive hole so that more tax handouts can go to corporations and they we can continue to de-fund education, continue to not invest in infrastructure, continue to not invest in higher education. We can continue to do that so corporations can have a little more. Does it make sense to you? It doesn’t make sense to me, and this whole push towards privatizing public education—again, no one has shown me that these charter schools are any better. And every study I’ve seen on cyber charters tell me that they are much worse than all of them. Yet millions of our tax dollars are going to this and the profiteers are walking away, laughing all the way to the bank. Which is why I think parents need to get involved—parents need to get active, which is why I have asked Helen Gym, she is with Parents United for Public Education. 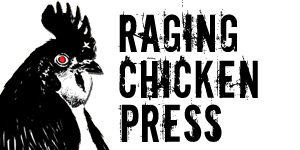 They are a citywide parents’ group in Philadelphia, focusing on school budgets and funding to improve achievement and accountability in the public schools. Helen thanks for taking time for me. [Helen Gym]: Thank you, Rick. [Rick Smith]: Tell me…as a parent looking at this situation in Philadelphia, because a lot of my friends here go, “well, you know what, that whole privatization thing, all that stuff, that’s a Philadelphia problem. Never going to happen here.” What do you say to those folks? [Helen Gym]: Well, I actually think that’s not entirely true at all. This is a governor that has taken out—in the last two years alone—$1.1 billion out of public education. And when he passed the budget last year that took out $1 billion from public education, said,” this is the budget that separates the must-have from the nice-to-have. Clearly education is not at the top of his list. And if you look at the two districts in which they have orchestrated a state takeover—that would be Chester and Philadelphia—you saw massive privatization in the works. For both Chester, which is now bankrupt, and Philadelphia, which is teetering on the edge of bankruptcy, the solutions have not come forward. You know, the solutions after years of experimentations and massive…you know, privatization never did what people said it was promised to do, which was: achieve efficiencies, consolidate, drill down on the core mission, allow people to be quicker, more streamlined. It just massively ballooned contracts. It led to a lot of corruption that we thought in Philadelphia certainly when you have contracts involved in political entities there is just a huge amount of corruption. There is also waste—that’s one of things Parent’s United has focused a lot on to try and clean up contracts so that the district can focus in on its core mission, which should really be taking care of the classroom not other politicians pet programs. [Rick Smith]: Yeah, and I look at this and to me I keep hearing people tell me, “well you know, Rick, private is better. The public thing, that’s not working.” And yet, no one has ever shown me an instance where private has been better than public. No one has shown me an instance where we have privatized something and it’s worked for me. Now, I can point to a lot of things that we have privatized over the years that have benefited the very wealthy—the people who wanted it—but not people like you and me. [Helen Gym]: Well, and when people talk about how great privatization is I encourage them—strongly encourage them—to go eat a school lunch in Philadelphia. It will come frozen off of a truck that will have come in from the West Coast. It will cost less than $1 per tray, and it will be the same for a child who is a kindergartener and for a young boy who is in eighth grade. They eat the same meal. At one point we were passing around privatized meals that consisted of two beef jerky sticks, a cheese stick, a fruit roll-up, and a juice box. That was the lunch. That school lunch should be a symbol for what privatization is. Cheap? Yes. Fast? Yes. Better? Heck no. [Rick Smith]: But the whole thing is we live in a time where we just care about cheap, and we listen to the legislators–“education is too expensive, we spent too much money”—and I’m going, do you really care about the future? Do you want this generation of kids to be the ones to cure cancer, who go into space, who do all of the things that we as a county have been known for in the past because we have invested in education. [Helen Gym]: And this administration and this legislature is the first legislature in twenty years to actually disinvest in public education. Every single legislature—Republican and Democrat—over the last twenty years has always put in more money into public education every year, recognizing that there is value in it. There’s actually return on it. It’s not a black hole that doesn’t give anything back. Our children are the most important investment that we can give, and there is no other way that we show our love for our children except through our public schools and public institutions. This is the way we show them how much we care and when this is a legislature that is the first legislature in twenty years to disinvest up to $1 billion in public education, it is a stand on children. [Rick Smith]: We need to privatize everything. We need to have these achievement networks. I love that. Instead of establishing a school district we are going to have achievement networks. That’s so wonderful. Sounds great, doesn’t it? [Helen Gym]: Exactly. One of the things we’ve said is that it is definitely not a partisan issue at this point. Privatization is the talk between the haves and the have-not’s—it’s the 1% vs. the 99%. This is no longer a Democrat or Republican kind of thing. So, we should just make that very clear. In terms of the achievement networks, the language going around the school districts is “achievement networks,” “portfolio services,” “streamlining,” “right-sizing”—this is not the language of parents. We don’t hear a single word about lower class sizes. We’re not hearing you talk about the interaction between a loving teacher and a child. We’re not talking about safer schools. We’re not talking about an enriched curriculum rather than the drill and kill test prep. These are the fundamental things parents talk about when we sit down and talk about our children. That’s not the language of the reformers that are coming out and it doesn’t matter what party they are coming from, you are exactly right. [Rick Smith]: Because the only thing that seems to matter is the money. There is so much money flooding into this. And my point has been over the last couple of years is, if there is all of this money out there to promote all of these….I see billboards, I hear radio advertisements, I see newspaper ads, I see all of this stuff telling me that private is better. There is all of this money for educational advertisement. If there is all of that money for them, why can’t we take that money and put into public education and fix the few problems that we actually do have. [Helen Gym]: One of the most remarkable things about Philadelphia is that this is one of the questions that we are asking. The school district in Philadelphia is seeking to restructure its entire operation to move them, as you pointed out, these achievement networks run by outside operators, who will organize schools and work on a five-year performance management contract. So, the school district can do all of that—they will just reorder their entire school building—but they still can’t promise a lower class size. They can’t promise me that my teacher will be a qualified, efficient teacher next year. They can’t promise that if I don’t have a qualified, efficient teacher, that they have a plan to make that teacher better throughout the year. They can’t promise fresh food in the cafeteria. They can’t promise that my child won’t be tested day and night with relentless test prep every spring—starting in January through the end of the spring. Those are the things that they can’t promise. They’ll do almost anything else and so it’s really crazy that they will go to almost any kind of radical extreme to restructure education, but they never pay attention to the substance and content of it, and the things that parents really care about. [Rick Smith]: I go back to my childhood–I grew up in a housing project in the West side of Cleveland–and you know, the silver bullet in the seventies, I don’t know if you remember or not, but the silver bullet for education in inner cities was something called busing. They would take poor kids from one side, in my case, from one side of Cleveland and they would bus them all the way to the other side, and vice versa. That was somehow going to fix all of the problems. We took poor kids from one side of town and poor kids from the other side and you swapped them. Same crummy resources, same kids, same poverty environment, same all of that, but you just shuffled them around. The only people benefited were the profiteers, the people who owned the busses. Those are the only people who benefited. [Helen Gym]: And part of why we want parents to have a voice in the dialogue is because we think parents will really focus in on the things that really matter, and that politicians and people who are whatever they are, they don’t listen to parents because it’s the nice thing to do, but because parents actually have an important perspective on what matters and what really makes the difference in classrooms. [Rick Smith]: Yeah, and that’s an extremely important point. I think that’s paramount, because—I’ve got to ask—in the achievement networks, how much parental input are you going to get? I know with the school district I’ve got the opportunity to go to the school board meeting, I may even be able to run for school board. There’s a whole lot of things parents can do when the public owns the school. But once we’ve privatized this stuff, and we have achievement networks, and we no longer have principals and superintendents, we have CEO’s, how much say are we going to have to the CEOs and the people who are appointed to the SRC, for instance, or the achievement networks? [Helen Gym]: Exactly. I think the loss of control, the loss of accountability—people think that five-year contracts actually increase accountability, we’ve actually found that contract management has made the school district far less accountable, far less cognizant of what’s happening in the schools in which their children are attending. You know, there are a lot of concerns—and there not based on speculation or conspiracy theories—they’re based on actual practice and knowledge. We’ve been doing this for ten years. We’ve been doing contracts. We’ve been doing expensive, private outfitters taking management fees and all sorts of things. We’ve seen this happen, we can look at Chester, and we can see what’s happened there. This is not a mystery. So, for it to get constantly repackaged as something new and different and “innovative,” while real concerns of parents and families around what happens in the classrooms is packaged somehow as stale or defending the status quo, is outrageous. [Rick Smith]: Yeah, again you look at this and to me it is just a big rip-off. It’s just way to drain money, to drain resources from taxpayers and hand it over to the Neil Bush’s of the world, who have started their own education companies, and the Pearson’s and all of these big multi-nationals. Let me ask you about the SRC. I guess their charge was to balance a budget, yet I’ve heard—and maybe you’ll know—they have yet, in 10-12 years, they have yet to balance a budget. [Helen Gym]: Well, let’s say that they will balance a budget on paper. Any numbers can match up on paper, but the fact of the matter is that Philadelphia was taken over in December of 2001 because it was in academic and fiscal distress. Ten years later we look at the district and we’re in academic and fiscal distress. The solutions that have been offered in ten years in between have been experiments, privatization, outsourcing, expensive management—I mean, we have had the most expensive superintendent in the county come through here and lay waste to the public school system. And you know, we are sort of tired of people who have put out ideas for ten years and haven’t really solved fundamental problems. So, no. The state takeover has failed miserably. The School Reform Commission–as a body of the state takeover completely unelected, not necessarily accountable to the public—has been a very troubling entity. [Rick Smith]: Let me ask you this, you said something a second ago about a guarantee of quality teachers in the classroom, and what popped into my head is there is a Frontier virtual cyber charter school somewhere down there in Philadelphia that was recently in the news, where the person who ran the Frontier virtual charter schools fired all of the teachers because he couldn’t pay them, and then put an ad on Craigslist for part-time teachers. And I immediately thought of that, and I’m going, are those the kind of teachers that we’re talking about, in these new-fangled for-profit schools much like we’ve done to higher education in this country. [Helen Gym]: You know, teaching as a profession, I think, has been completely de-valued in the new paradigm of education reform. It’s almost like teachers are interchangeable objects. There not meant to be thoughtful, creative, innovative human beings. They are just mean to deliver a curriculum. And if you read this script correctly then you should be able to raise your children’s test scores. That’s a horrible definition of what teaching is. [Rick Smith]: What I’ve been saying is that we are turning it in to factory work. [Helen Gym]: Absolutely. You can look outfits like Teach for America. You can have an eight-week crash course in the summer, throw yourself into the lowest performing, highest need classrooms in the city of Philadelphia. And hey, that’s a plan. And you only get a two-year contract too at the end of it. For people who are really concerned, who value teaching, value schools–who understand that education is not just the end game, but is a process of learning, and growing and making mistakes and working toward something. It doesn’t’ fit into the widget model of education and the factory model of education as you point out, Rick, but is being proposed and hoisted on the public today. [Rick Smith]: I really don’t think they care what kind of model it is along as they are able to line their pockets. So let me ask you this, if you were able to wave the magic wand, who do you fix the problem? Because there are a number of schools in the Philadelphia area that are struggling, a number of these children that are falling through the cracks—how do we fix it if not through public or not through profitizing? What direction should we be going? [Helen Gym]: Our focus has always been on looking at educator led turnarounds that happen in schools, which happen with the community of schools so that they sustain change. What we are tired of is dramatic change. “Oh we’re going to sweep out the old and bring in the new.” That never lasts. [Helen Gym]: And we’ve seen it happen over and over again. The story of Philadelphia is the story of change. Constantly turnover after turnover. We have high schools in our city, which have nine principals in ten years. [Helen Gym]: Four principals in one year at West Philadelphia High School last year. That is a recipe for disaster. So, we know that dramatic change is just drama—that’s all it is. 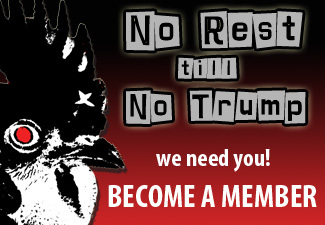 We want sustainable change. That happens when educators and community members work together to really turn things around. We did it at a school called South Philadelphia High School, which was the site of significant racial violence, that has low academics, that was just a completely disastrous school for a lot of communities. But when communities get together and try to work, get in a new leadership, try to stabilize the community, focusing resources on the things that matter, we have seen things turn around. Perhaps not as quickly as we want, but they turnaround. We’re working toward a long-term process of change. [Rick Smith]: For me, there’s never been a silver bullet that’s worked. The root problem, and I would bet my bottom dollar, of the 141 schools and school buildings in this state that are “failing” of the 3,300, I would bet my bottom dollar that the vast majority of them are in high poverty areas. So beginning to solve the problems of poverty, beginning to solve the problems of crime in those communities, that’s where you have to start—so you have an entire movement forward of not just the school, but the community. [Helen Gym]: Absolutely. In Philadelphia, which is the largest metropolitan city with the highest amount of poverty in it, it is a significant conversation that doesn’t happen enough, and it is certainly not happening with this governor. 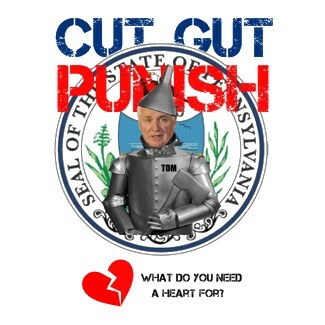 A governor who actually has to say in a press conference, “I am not a heartless tin man,” because of these social nets he is cutting out from underneath people. We’ve never seen anything like it, where people feel like they actually gain political clout by hurting the 99%, and the most vulnerable people in our community. And I just don’t think that Pennsylvanians should stand for it at all. [Rick Smith]: I’m right there with you, but it’s all for them, it’s all about the money, it’s all about who puts the campaign cash in their coffers. Last question I’ve got for you: you know the folks in this area that I talk to I keep saying, look, it’s coming. What’s happening in Philadelphia is going to the model that they replicate across this state, and it’s just a matter of time before it’s in our back yard. What would you have parents do? What things should we be preparing for? [Helen Gym]: I really think parents have to just get organized. People should not be sitting down, this is budget time. Every singe legislator is talking about how much money is going to go into education and they are negotiating at a table, and if you’re not at that table or asking for a place at that table we’re going to get shut out. This is not a friendly legislature, but they will listen to the people. They need to listen to the people because this is the vote. There are hundreds of school districts all across the state of Pennsylvania that are suffering from budget cuts–dramatic budget cuts—program cuts, or higher taxes because this state will not do its due diligence and duty to the children and to the communities of this Commonwealth. It is not a Philadelphia problem, it is not a Chester problem—it is every single district and region or Pennsylvania, in which $1.1 billion of public education, when that gets pulled out of the system everyone gets hurt. [Helen Gym]: The parents organizing, calling down to Harrisburg demanding that this money gets put back, and that we’re not going to take it. [Rick Smith]: Absolutely. I’ve been saying if you’re not at the table, chances are you’re on the menu—and that’s exactly what it is. Helen Gym, I appreciate the time. Parents United for Public Education. 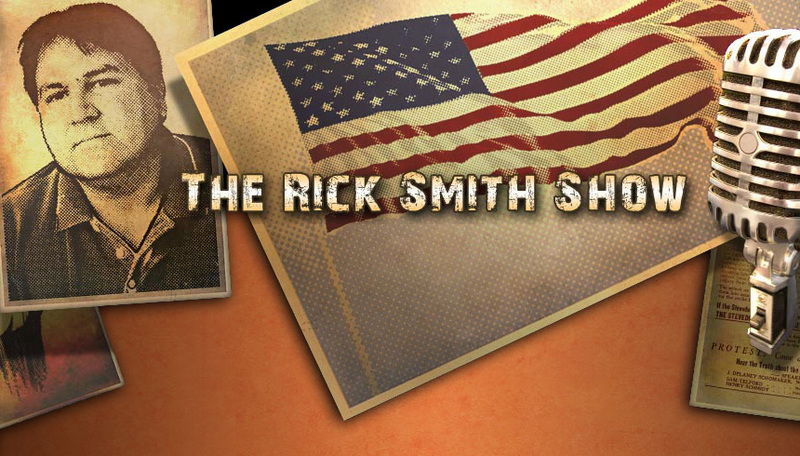 We’ve got a link at the ricksmithshow.com—just click on Helen Gym’s name, it will take you right there. Helen I appreciate the time. Keep up the fight and we’d love to talk to you again. [Helen Gym]: Thank you for the time, Rick, thanks for your work.